Hello there. Cathy N here with a pick me up card you can make and sent to someone that might need a little sunshine in their day. Start out with a smaller piece of white cardstock than your card. 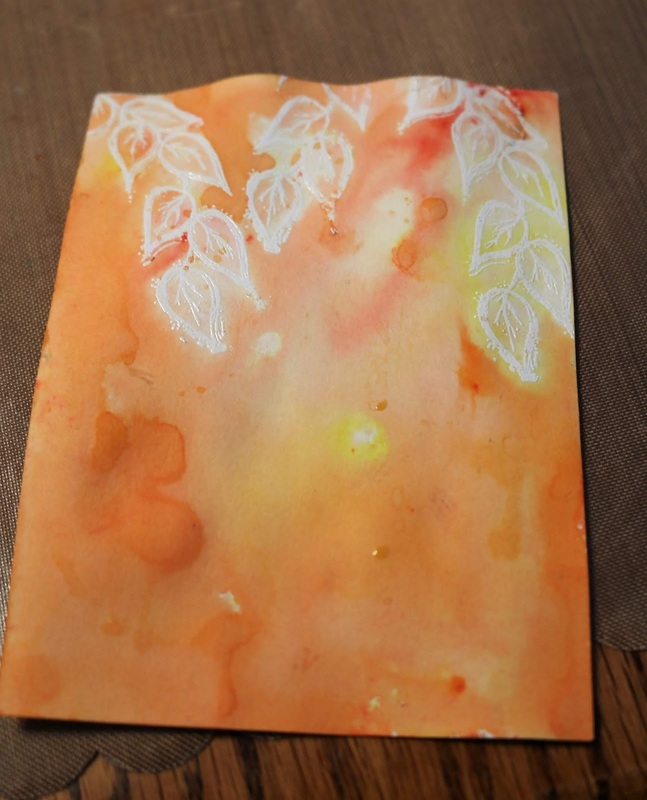 Stamp Doodle leaf vine border by Pam Bray on the to of the sheet of paper. 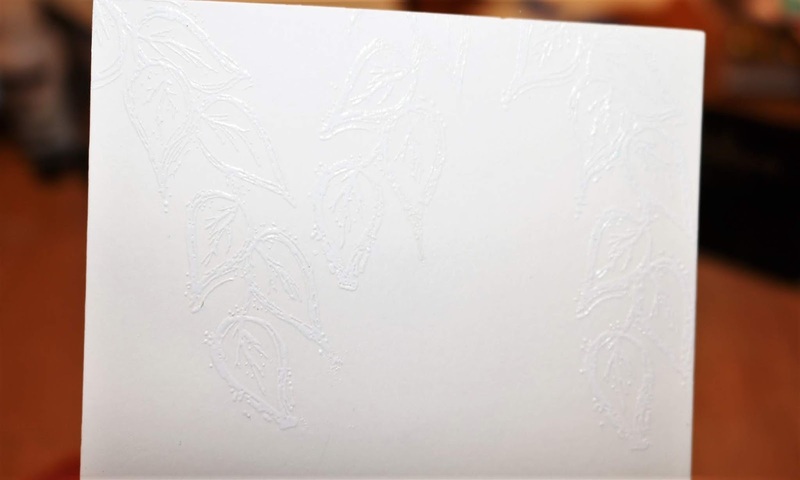 Use white embossing power. Stamp Doodle leaf vine border by Pam Bray 3 times and emboss it. 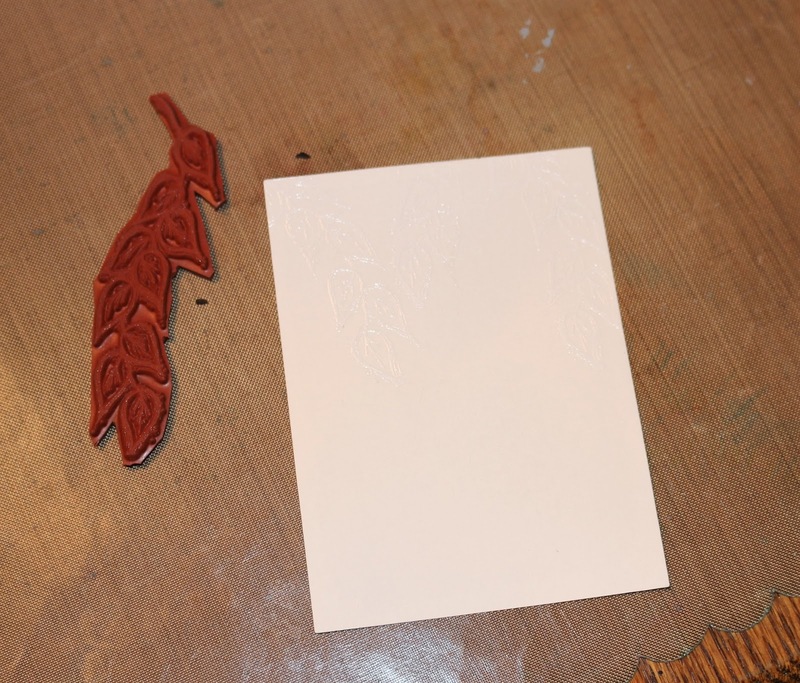 You really can't see the white on the white cardstock but once you add the pigment powers it will pop. Sprinkle the powers on the paper and then spray with water to active them. Going for a orange/yellow combo here. Dab some of the color from inside the stamped area. Add more layers of color till you get what you intensity you want. 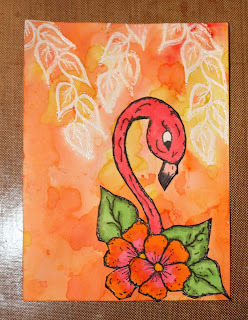 Stamp Flaming by Pam Bray on a sperate piece of white card stock and color with Copic markers. Cut out and add to the watercolor resist piece. 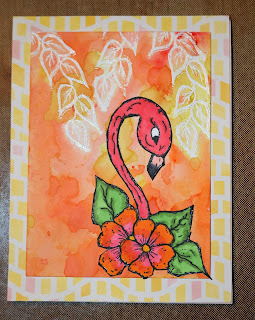 Layer it on some pattern paper that matches. 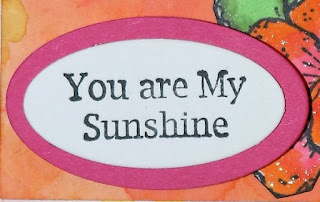 Stamp out You are my sunshine by Pam Bray on a white cardstock and die cut with oval and die cut a oval to layer on to. Add some glitter to the flowers and some sequence to the all over card and there is your sunshine card. Very, very pretty Cathy!! 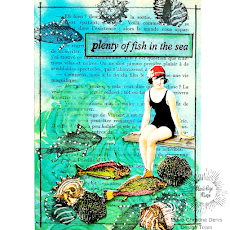 I love your blended background! It goes so well with flamingo! 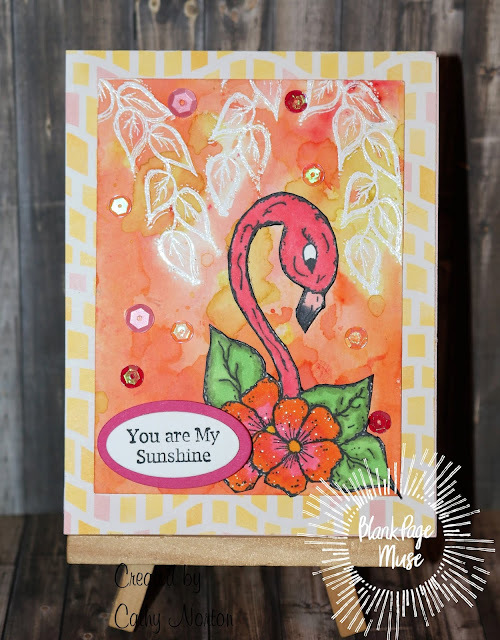 Love the warm colors and lovely coloring!